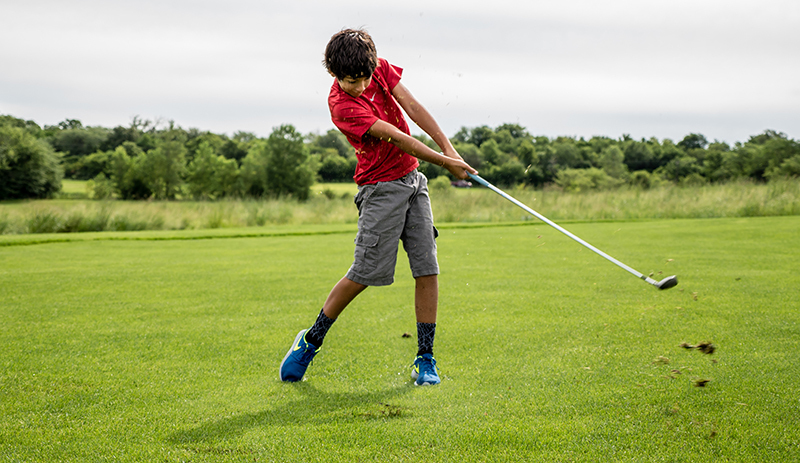 The PGA Junior League of Northwest Missouri is for boys and girls ages 8-13. The league is an instructional, fun, and exciting team format program. Participants can experience the game of golf with friends while receiving coaching form a certified PGA Professional. Players of all abilities are encouraged to participate in the program. The program includes a total of 6 games with 2 at each of the following courses: The Watson 9 at Mozingo Lake, St. Joseph Country Club, and Moila Country Club in St. Joseph, MO. Five practice sessions are scheduled during the regular season along with a pre-season meet at Mozingo, a program jersey and bag tag. $125.00 per child due upon registration.